Everything you need to know to plan your own big adventure! My partner and I have spent over 1000 nights in hostels, clocked up 100,000+ air miles, made countless bus journeys and munched a seemingly unending diet of instant noodles. 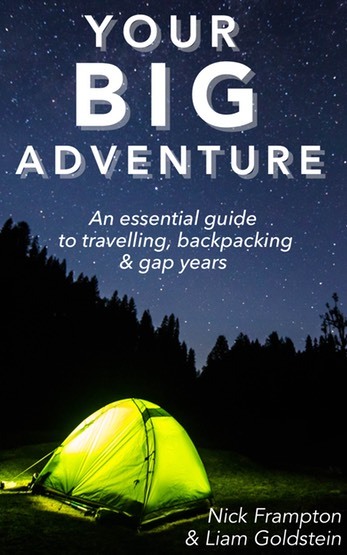 All these experiences have gone in to writing this book: a step-by-step guide that aims to take the hassle out of planning your trip so that you can focus on what really matters; enjoying your own big adventure! Whether you’re thinking of backpacking for a few weeks or taking the plunge and setting off on a year-long adventure this guide focuses on everything you need to know at each stage of your journey. From starting conversations about travel with family and employers, to thinking about where to go, what type of transport and accommodation to choose and practicalities such as finances and packing, this book is full of tips from experienced travellers. There’s also plenty of information about staying happy, healthy and on budget while on the road, as well as some great ideas for getting the most from the experience and reducing travel niggles and stresses.